No matter where you go in the world, you will find people eager to start their life in a new home! Business is booming, and property management is in high demand. So, now is the time to pursue your dream and study real estate. Whether companies are looking for new office space to expand their business or couples are looking for a new home to start a family, real estate agents are necessary assets to the search. Not only will a real estate agent help clients find the ideal location and space, they will also assist in the bidding, negotiation, and purchasing process. Due to the complicated nature of property law, real estate agents must first study real estate and property management to become licensed. After a thorough education, students will then have the nuanced knowledge it takes to be the best of the best in the field of real estate. Studying real estate is also the perfect opportunity to take your education abroad! 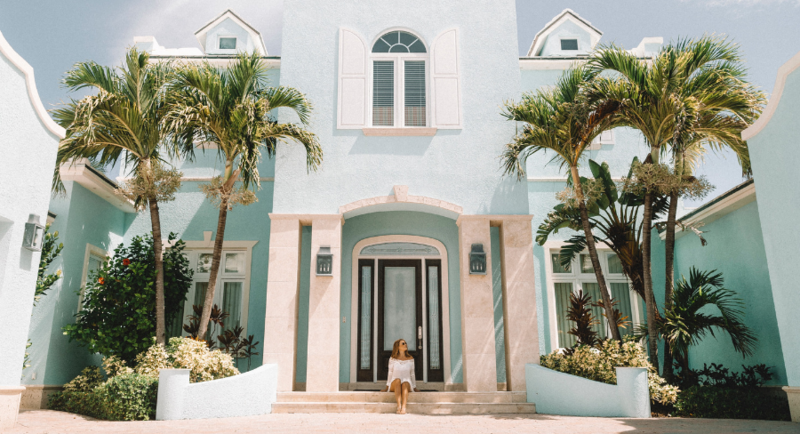 Although housing and property laws vary depending on city and country, you can combine your love of travel and exploring new locations to study real estate abroad and find your own place to settle down. Look at properties with a view of Sydney’s opera house or show clients apartments scattered amongst the neon lights of Hong Kong! No matter where you end up, you will love sharing your new city with future property buyers. It’s easy to get accepted into a real estate and property management degree program, but if you want to make the most of your education, consider attending one of the best real estate schools. With enhanced knowledge of the industry and skills developed by top talent, students will prepare themselves for a bright future within the real estate industry. A day in the life of a real estate student often involves both lectures and independent studies. As you get further into the degree program, students can also expect real-life work experience through either internships or onsite observation with professional real estate agents. By the end of their real estate degree, recent graduates will be happy to have both the knowledge and the experience to dive right into the field of real estate and property management. Real estate agent isn’t the only title you are destined for with a degree in real estate. Like many degrees, a degree in real estate offers students a variety of career paths to pursue. Due to the high demand, it’s easy to break into the field. From there, students will be able to show off their knowledge and experience and climb the ladder to make it big within the field of real estate. The best real estate schools will often require that prospective students have demonstrated they have previously performed well in their classes, especially classes focused on math and business-related topics. Both undergraduate and graduate students will have to provide a copy of their academic transcripts, along with any standardized test results. International students will also have to prove their English proficiency, as many real estate degrees are conducted entirely in English. An essay will also most likely be required to complete your application.